Ever wondered what the small block of text is after the body an email message? 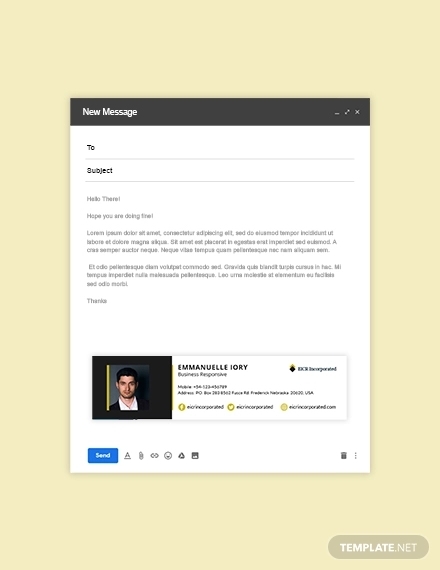 Unlike a business letter that follows the letter’s body with a complimentary close and a signature line, an email uses a professional email signature. 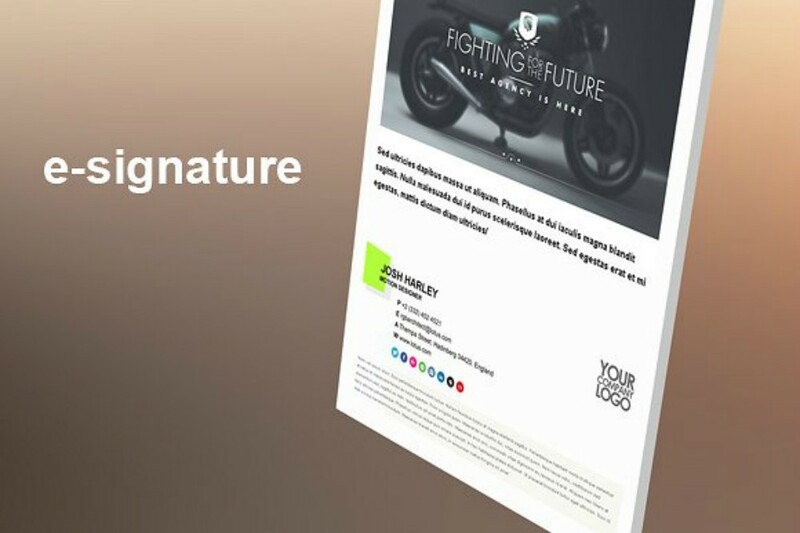 When putting an email signature in comparison with complimentary close with a signature line in a letter, the former is far more convenient and efficient than the latter. Of course, there are ways for you to create an email signature that stands out from the rest of your competitors, but there are lines visibly drawn that you must never cross. An email signature’s creation is highly dependent on two things: personal email signatures, which gives you a chance to display your personality; and business or corporate email signatures, which is more restrained as this needs to meet the company’s standards or follow the rules. In the field of business, it is important to keep business-to-business (B2B) and business-to-consumer (B2C) transactions all the time. Considering that you can reach these entities via emails, setting up a business email signature that radiates your company values is deemed necessary. 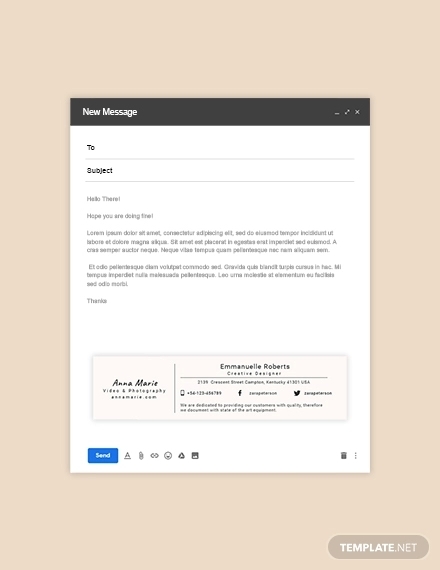 If you think you already have the perfect email signature to use for a business, take a look at the downloadable samples below. 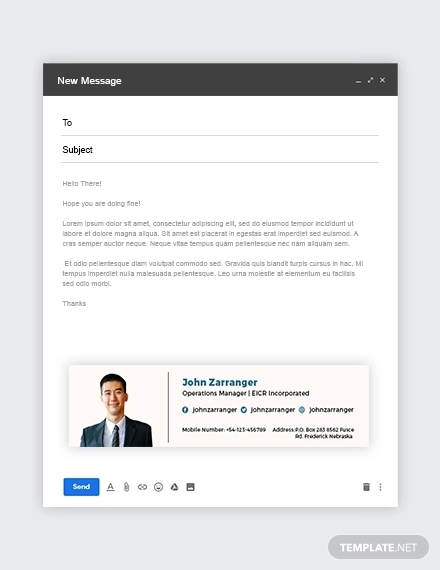 Who knows a revelation of your areas that need improvement might occur, making it easier for you to come up with an exemplary business email signature. Why Use Email Over Other Digital Platforms? The digital era has made a huge impact on business by increasing the options for reaching business entities through various digital platforms. Emails have existed far too long and yet the venerated traditional practice of dispersing business related issues via email still exists. Well, if you come to think of it when we sign up for various social media sites, acquire a govt. ID, and others, they require an email address. This is because the most convenient way of reaching you out should there be any updates is through your email. An email is way too important for it to be phased-out. To cite an example, your email account notifies you if ever your account is accessed through another device. Some companies block the access to other social media platforms for security purposes. There are too many unparalleled risks in social media sites that make guarding your company’s reputation a close-to-being impossible task. Unlike emails, tracing a fault that could lead to company project downfalls would be very easy. It’s almost as if emails are designed for business security purposes rather than for personal interests. It’s not that we are entirely discouraging you from using social media sites to communicate with prospects and other business entities. As a matter of fact, some companies are making use of social media sites in recruiting members or in promoting services and products. It’s just that sending important attachments and saving it to your email drive exceeds other social media sites’ edges. Furthermore, an email makes a very good advertisement or in increasing brand awareness. Business brochures, advertising flyers, business postcards, and other leaflets can be distributed via email. Besides an email message is taken more seriously compared with a Facebook message when a business file is sent. How so? All the elements in an effective business email ooze an ambiance of professionalism. Not only should you practice yourself with writing, you also need to create a good email signature. An email signature paints all the content of your email with conviction, making your email radiate with the professionalism that a business requires. With an effective email signature, marketing campaigns done via email become powerful. Don’t just end your email with a “Yours truly, (Your Name)”. It’s a weak and ineffective way to end an email with a commendable content. Your email has to be memorable and impactful and it’s the email signature’s job to do just that. Uncertain of the techniques in developing one? Continue reading. Achieving an effective business email signature is necessary for companies because an impression from the receiver of the message is created. This impression means so much for the company for this can hurt their reputation, which could lead to a hasty decline in recruiting prospective employees, consumers, and even business partners. Yes, the box of text found after the body of an email has the potential to do the latter. The way you communicate with prospects for a hasty growth of your company is vital, and messing it up with grammatical errors, unproofread/unedited content, and a poorly developed email signature leads to a graceful downfall. If you find yourself becoming tired just by thinking about creating an ideal business email signature, relax and sigh your relief for we provide you techniques in attaining an effective one. Use at least three and at most four lines of text. Imagine seeing an overly staffed email signature that includes unnecessary details about the sender and having to read the email via cellphone? Not so pleasant, now is it? An email signature should have the sender’s basic information: Full name or Name without Middle initial/name (for security purposes), your position, the name of your company, and business contact information. Having a stuffed email signature can overwhelm the essentials. Besides, it’s too much of a hassle to include unnecessary information in it only to get ignored or, worse, consider the workforce of your company irrationally unprofessional. Keeping it brief does no harm to your company’s reputation and does not waste the time of your recipients. Other companies are not so strict about the style of your email signature that you are given the chance to flaunt your personality through it. For example, a blogger’s email signature usually contains all social media accounts he/she has that appear in the style of the digital platforms’ icons to let recipients know that you are active in these social media sites. 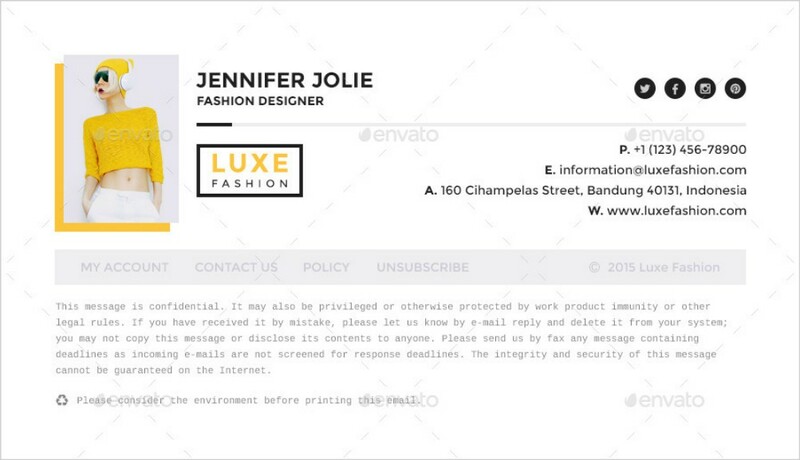 In this case, you are able to add more contact information in your email signature without consuming too many lines. 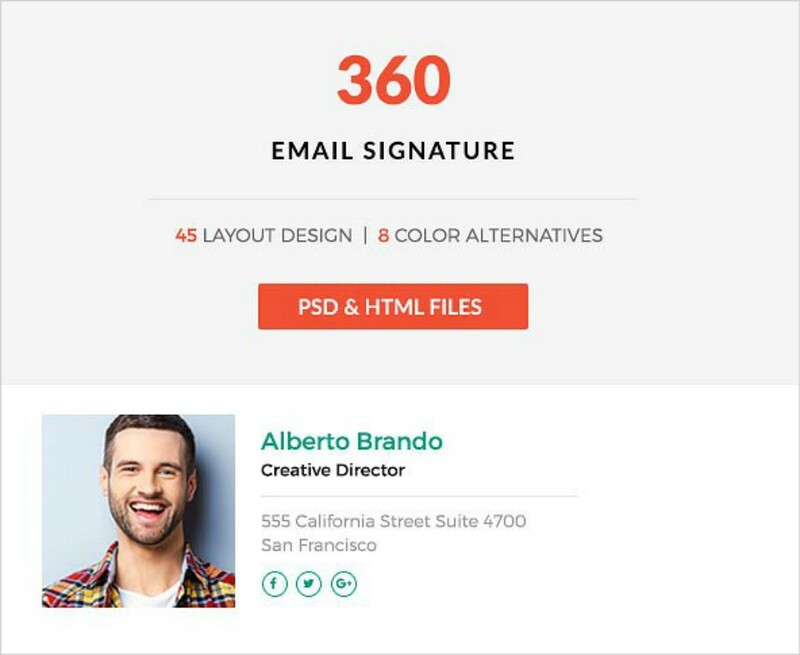 Use font styles or typefaces that maintain that content of your email signature comprehensible. The degree of your professionalism can be sensed from your choices of font style. Be it in business or personal emails, if you want your recipients to take your email message seriously then you have to restrain yourself from using artistic fonts. The use of business fonts like Arial, Times New Roman, and Calibri helps you retain a professional and businesslike atmosphere. Never include your email address in it. You might wonder why your email address must never be a part of your email signature when it’s a contact information, even writing a resume requires it. Well, that’s because you are already using an email in disseminating business related information and the recipient will know who the email message is from. Adding this is absolutely null and void. Always bear in mind that the lines of your email signature are very limited and you don’t want to waste one by being redundant. Include a decent photo or business logo. 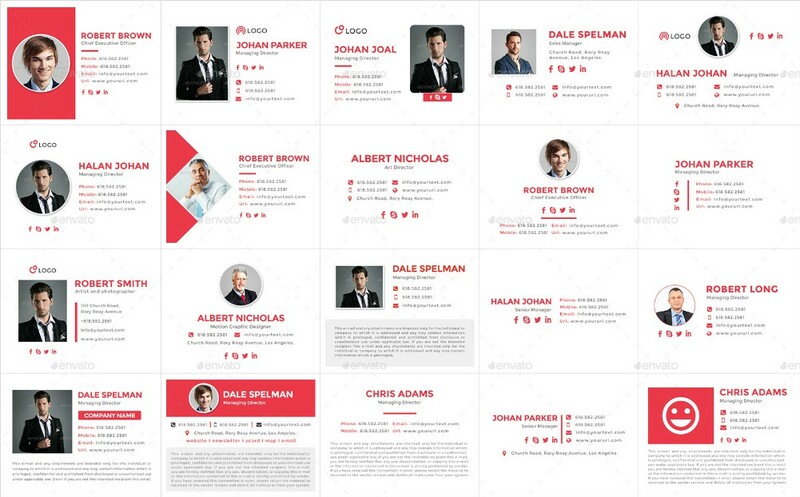 To ensure that your transaction with complementary businesses or other business partners and with existing and prospective customers are memorable, adding a face to represent your company is highly recommendable. This also displays that your business is one to trust for you gallantly put your business logo in it, knowing that the logo represents the totality of your company. 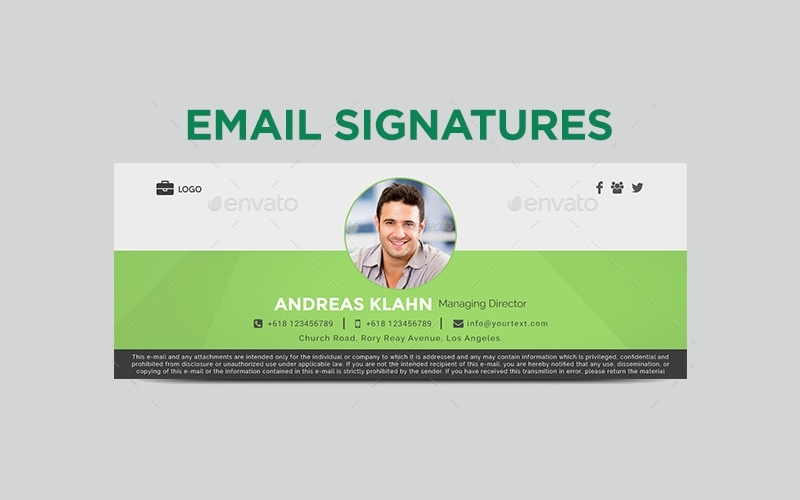 With a similar reason why we put photos in email signatures as we put photos on our business card when received by prospective consumers as a form of advertisement that efficiently promotes something, it will be hard for targets to rid the memory of your email. The email signature compels them to make their purchase, save or star the email for future purposes rather than deleting it, or in attending an event that aims to recruit you as part of an established organization. 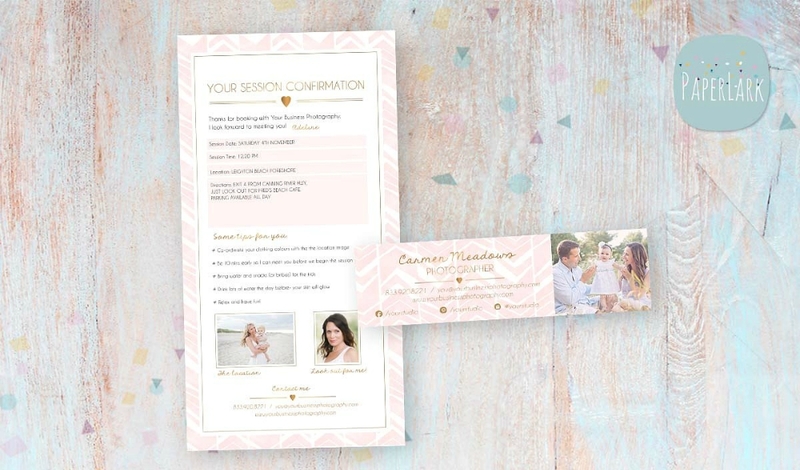 Both the photo and the business logo adds credibility to the business email and increases its business reliability should your company release any advertisement campaigns. The email signature should be relevant to your business. 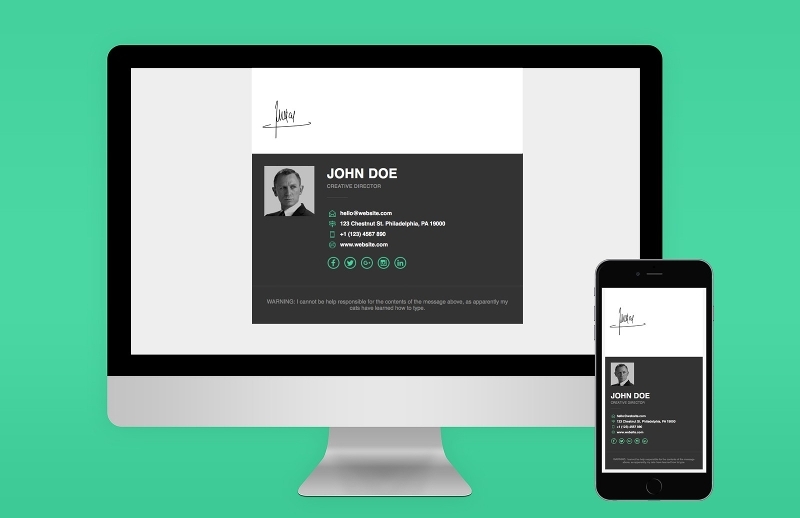 A good understanding of what your business is highly needed in developing an email signature. Through this, it’s easy for recipients to remember and identify which company sent the email. Deviate a little from the norms, and try developing an email signature that makes your email recognizable from the emails of your competitors. If there is an email signature from an established company you want to follow, make certain that your email signature can be easily distinguished by your recipients rather than cause confusions. Who could’ve thought that so little a block at the end of your email can be vital in doing business email transactions? Well, whatever arguments that anyone puts up with it wouldn’t be enough to stop the practice of developing email signatures. 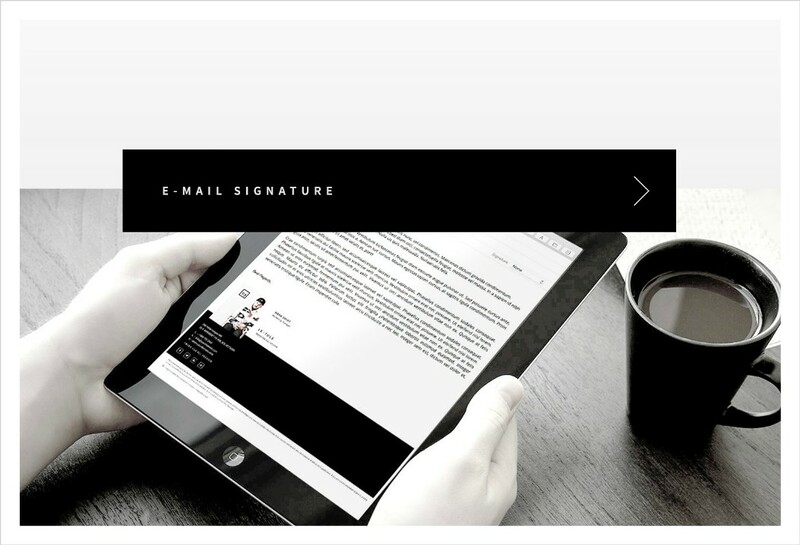 Given the reasons stated above, email signatures are too hard for businessmen to disregarded them. 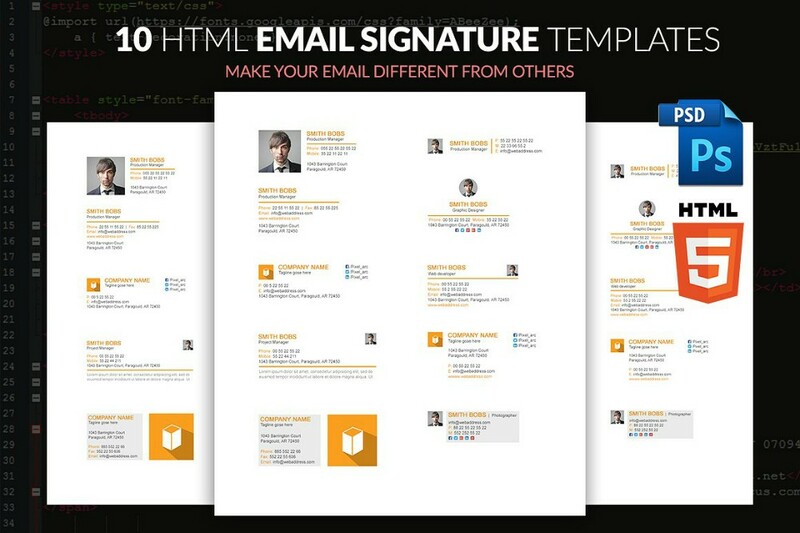 Flaunt the company values you take full pride in by using email signatures that best represent them.